Winning at slots is easier than you might think. They get a bad rap sometimes has having lower odds than table games but that is not always true. Slots can be just as complex as games like blackjack, and they draw people in who enjoy theory crafting the best ways to win big prizes. There is an entire online community of players who “talk slots” and this blog will distill three of the most important tips that have unanimously emerged from the rest of the digital noise as keys to winning truckloads of money. What I advise is finding a couple machines those style that you like, but have a couple favorites with varying degrees of variance. We’ll get into variance next, but suffice it to say you want to have a “repertoire” of games at your disposal. If you get into a losing streak you can quickly transition to your next favorite. Likewise if you start winning big, you can transition to a big hitter and swing for the fences. Variance (or volatility) is one of the three main metrics in slot machines. The other two are the payback percentage and the amount that you are wagering. These three variables will determine how much money you win. Variance refers to the amount and frequency that a machine will give you money. Whereas the payback percentage is the long term outlook on a machine’s profitability, the variance should be considered as the short term outlook. Do you know how some machines always seem to be winning, and yet you never really seem to get up all that much? Those machines have a low volatility. Then there are machines that, when they do pay out, however infrequently that might be, pay out huge. Those machines have a high volatility. One of the more severe mistakes people make playing slots is a rather nonchalant attitude of sitting down and expecting to just hit the jackpot within the span of an hour’s time. Slots may be profitable, but they will not make it that easy on you. That is part of the fun, after all. The path to profitability is found through analyzing the variables mentioned above, and then setting out with a specific plan of action. Just like poker players know “their game” so must slots players learn to develop the system that is going to earn them prizes and riches. Don’t get me wrong, slots should be instant fun, and one should not feel the need to put too much effort into what is mostly a recreational and relaxing time. But you should be paying attention and maintaining some sort of a timeline and a realistic expectation of your goals. Where am I going to walk away? What is my bankroll for this session? What machines are best suited for me to reach to my end goal? Do you know what slots players are? Wild. They are thrill seekers and adrenaline junkies. They are just as intelligent as those poker and blackjack elitists, but they are more willing to take a chance. More willing to play those state-wide progressives and dollar machine max bets. They are the people who revel in the excitement and wrap themselves up in the digital blanket of a slots immersion. 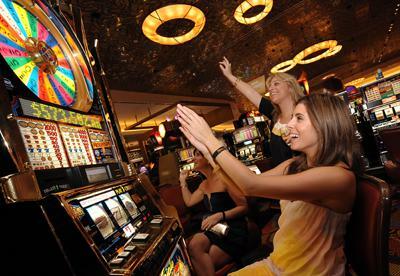 They are the people with the overactive imagination and a love for the many themes of the world of slots. Does the above describe you? Great, time to get started playing some slots online with our famed WebPlay feature that allows you instantly play online without any hassle at all. Or, download our software directly and access the real money play even more quickly.